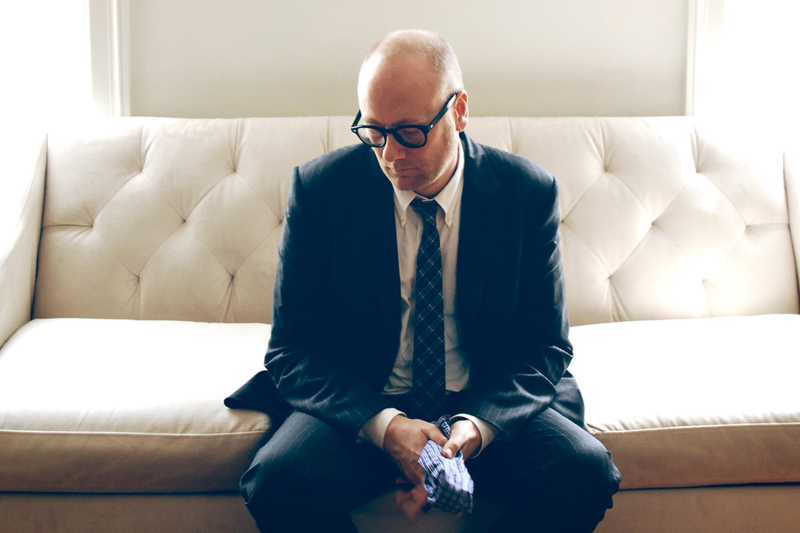 Mike Doughty, founder and former front man of the band Soul Coughing, has been releasing albums since he began his solo career in 2000. These 15 albums place an emphasis on recordings of live shows, many of which were busking shows in random public locations. His newest album, Circles Super Bon Bon, or Circles Super Bon Bon Sleepless How Many Cans? True Dreams of Wichita Monster Man Mr. Bitterness Maybe I’ll Come Down St. Louise is Listening I Miss The Girl Unmarked Helicopters The Idiot Kings So Far I Have Not Found The Science, as it is actually titled, is a throwback to his times with Soul Coughing. To put it simply, Circles Super Bon Bon is an incredibly strange album. Doughty was no fan of his former band, at one point comparing his relationship with the band as a “dark, abusive marriage,” and due to this relationship, he felt that the songs, which he wrote, were never performed as intended. Circles Super Bon Bon is Doughty’s attempt to remake some of Soul Coughing’s songs so they sound the way the band had originally meant them to be played. To put it simply, Circles Super Bon Bon is an incredibly strange album, as its title might indicate. The collection opens up with the song “Sleepless,” which does a good job of setting the tone for the album. It is one of the slowest songs on the album, with a synth drum kit and hand claps dominating the pace; this musical trend makes appearances in most of the following songs as well. Doughty’s vocal style, a type of talk-singing that is reminiscent of the vocals behind bands like Cake, is a style that works well with the sounds that Doughty uses. Circle Super Bon Bon’s next song, “How Many Cans?”, is perhaps one of the most intriguing on the album, with lyrics that do not make sense in any context, yet match the tone of the song as a whole. The music falls somewhere between indie-pop and hip hop, with strange vocal samples and heavy reverb on everything that is not a voice or a drum. “Mr. Bitterness,” the album’s fifth song, is unique as far as style goes. The tempo is maintained with the synth bass kick and hand claps that were present in the first few songs but is devoid of the synth sounds that varied the soundscape of the earlier tracks. “Mr. Bitterness” is driven only by Doughty’s voice, a fantastic, clean acoustic guitar and a trumpet that punctuates parts of the strumming pattern. The album’s ninth song, “Unmarked Helicopter,” is a massive improvement over the version that Soul Coughing released. This version of the song is busy with multiple layers of synth piano and drums backing up a catchy vocals line that is expertly carried by the talk-singing style of Doughty. The penultimate song, “Circles,” is perhaps the most memorable song on the album. It has an addictive and simple-to-understand chorus that matches the simple guitar, paired with synth drum kit parts that work with the vocals to create a patchwork of sound that is easy to sing along to. It is of a vein of music that has to be heard to be understood. Circles Super Bon Bon is an interesting album and worth checking out. It is of a vein of music that has to be heard to be understood and appreciated. It is definitely an album that needs a couple listen-throughs to understand what is going on with all of the different elements. Those listeners who feel like experimenting with their music library and do not have a particular album or band in mind ought to give Mike Doughty’s Circles Super Bon Bon a listen or three.